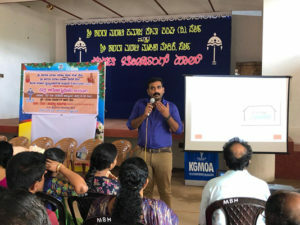 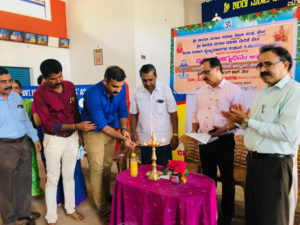 KGMOA Kasaragod Observed World Health day in Association with Sri Sharada marati samaja seva sangha perla and Sri Sharada Mahila vedike perla on 7/4/2019 at Marati Boarding hall perla. 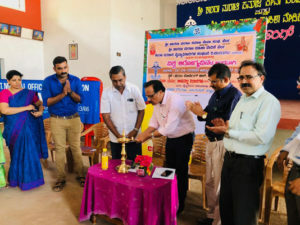 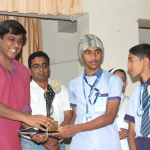 Programme inaugurated by Dr Jamal ahammed Past North Zone Vice President KGMOA,Supt Taluk Hospltal Nileshwar. 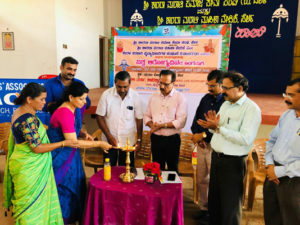 Presided by Dr B G Naik President Sri Sharada Marati sangha perla, Chief guest Dr Vijayakumar Senior Physcian Govt Wenlock Hospltal Mangalore , introductory Remarks by Dr Krishna Naik Senior Physcian GH kasaragod, welcome by Sri Rajagopala Secretary Sharada marati sangha perla , Felicitation by Dr B Narayana naik Senior Consultant paediatrician and District President KGMOA kasaragod branch , Dr Keshava naik Rtd Medical officer kerala health service , Smt Lakshmi teacher President Sharada Mahila vedike perla , Dr Jyothi S Senior Gynaecologist GH kasaragod. 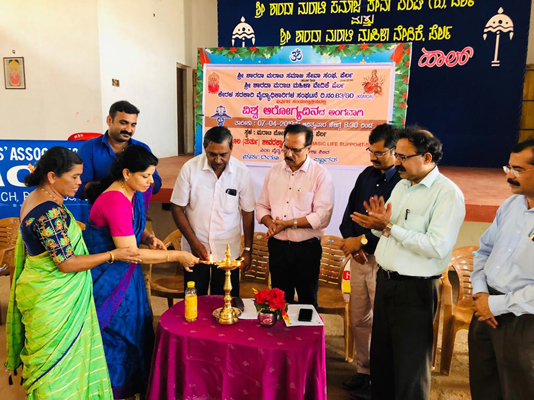 Programme Anchored by Sri Satheesh KUMAR kayyar Senior manager LIC and Executive member sharada marati sangha perla , Prayer by Smt Poornima purandara. 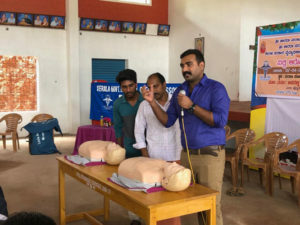 Class On Basic life support and Hands on training to audience Conducted by Dr Anoop Jr Consultant Anaesthesiologist and Master trainer of BLS ( Basic Life Support) GH kasaragod . 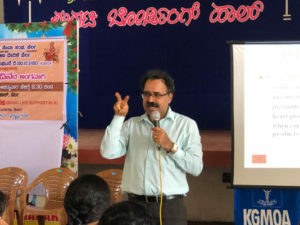 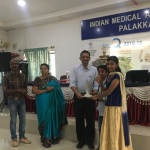 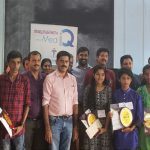 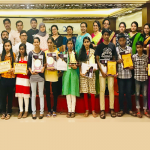 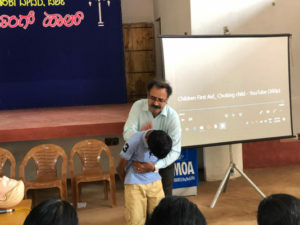 Dr B Narayana Naik Conducted First Aid class on common problems like Choking , Drowning, Electric shock, Accidents , Burns , Snake bite, Sun stroke and other important aspects. 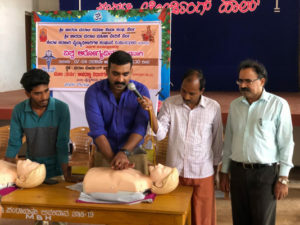 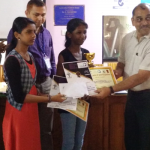 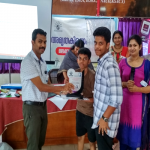 Members actively participated in hands on training and first aid training and well appreciated the programme and thanked KGMOA for arranging such a useful programme in remote area of kasaragod district . 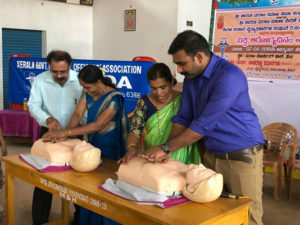 Sharada marati sangha office bearers rendered full cooperation in conducting the BLS and First Aid programme successfully. 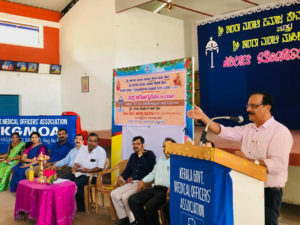 Vote of thanks by Sri Parameshwara naik joint secretary Sharada marati sangha . 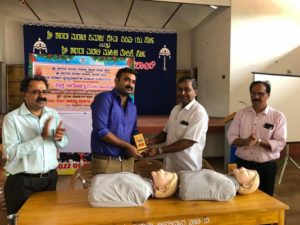 Manquins provided by GH kasaragod.